Starting of with the 4TP Tier 1 Light Tank then the 7TP Tier2 Light Tank, 10TP Tier 3 Light Tank and 14TP Tier 4 Light Tank. As always click the first image for full size slide show. Our thank’s to WoT News for the upload. 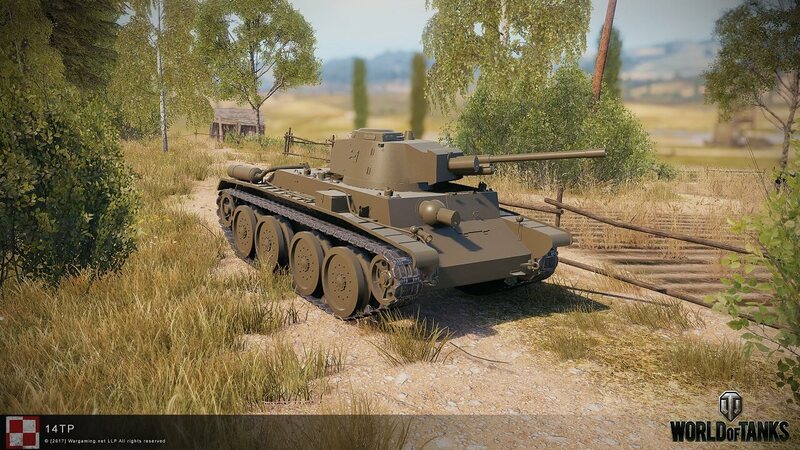 is it me or does the 14TP look exactly like the 4TP just given with a quantum dust of stolen stalinium? Looks like the OP used the wrong images. They’re exactly the same. No, the pics are identical. Som1 messed up. lol I thought they made a mistake and put pictures of the 4TP instead of the 14TP.